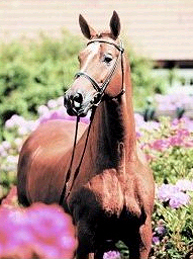 In 1999 Concetto delivered a very good Hengstleistungsprufung (stallion performance test). 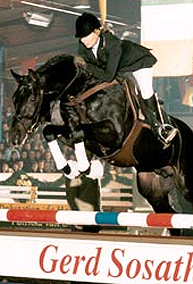 Due to his rideability and his spectacular jumping technique he had numerous wins to his credit in the A and the L jumping competitions amongst them the International Stallion Jumping Competition for 4 year olds in Denekamp which he won with a 9.0. In 2001, amongst his other successes, he won the qualifying round for the Bundeschampionat. He also won the first round and was a Finalist. In June 2001 he was 'Landeschampion' showjumper in Rastede and in 2002 he was once again a Finalist at the Bundeschampionat. 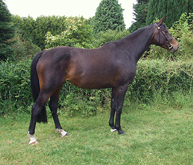 Meanwhile Concetto is being prepared for an international career in the showjumping sport. The progeny of Concetto are all dark brown or black and express a lot of race, size and presence. 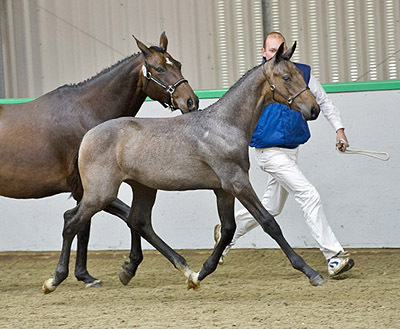 Concetto breeds uniformly and modern and his offspring are sold well at various auctions. 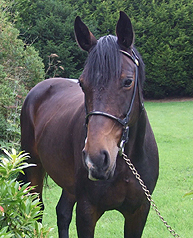 In 2004 his first sons were Approved, with one of the highlights, a stallion, who bacame “ Premiehengst” at de ZfdP in Kreuth in 2004. Concetto's sire Contender (by Calypso II), who himself was the winner of the 'Hengstleistungsprufung' (Stallion Performance Test) in 1987, has already several Approved sons in the showjumping sport, e.g. Captain Paul, Clay Cordobes and Tilder's Cantos. 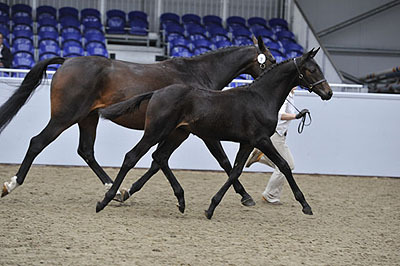 But, in addition, he has also Approved sons who are very impressive in the dressage sport, such as Contango and Mendel, Contango being an all-round progenitor. Contender is one of the most highly requested stallions in Germany and had the most offspring competing in the Bundeschampionaat 2002 and additionally he was the sire of the Bundeschampionat 6 year old winning showjumper. 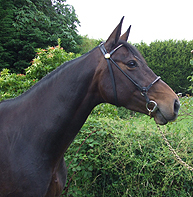 Zara's Sire Nurzeus (who is sometimes called ‘Zeus’ but actually started life as Gordios) is a balanced mix of Selle Français and Anglo Arab blood. 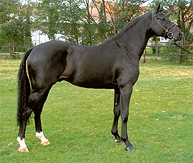 His sire, the Anglo Arab, Arlequin is a distinguished sire of international showjumpers and eventers, Zeus’ full brother, Figaro (ridden for Zangersheide by Harry Wouters Van Den Oudenweyer) and sister, Diablesse (ridden by J. P. Bonneau), won at international level, as did Enc’ Or, Elysée II, Fidelité, Filou Charriére, Fourni Rouge and Izmir - all by Arlequin. At 2011 BEF Young Horse Evaluations held at the SNEC in Broxburn, Glen Nevis Scais was awarded an Elite Premium in the eventing section with a score of 9.07 leaving all the other eventing competitors behind him.